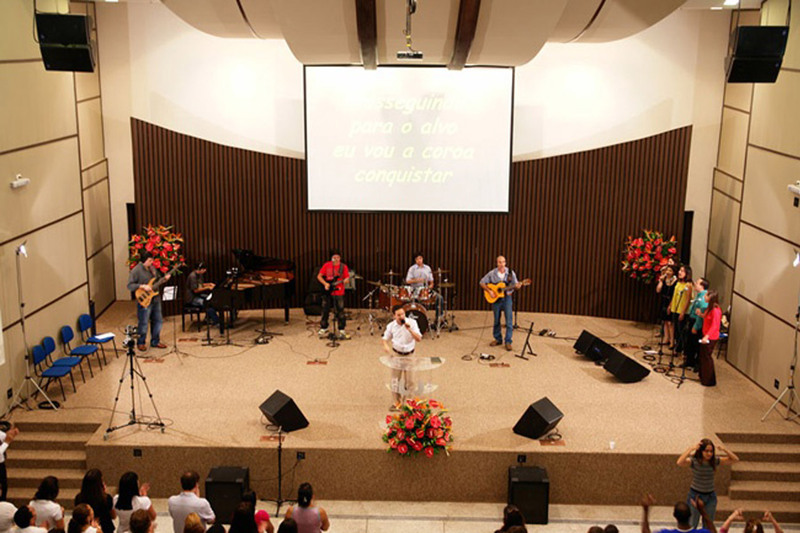 Igreja Batista do Povo is a small baptist community located in São Paulo. In order create a distinct and acoustically balanced environment, WSDG was invited to design the interior and add all the necessary changes to the existing structure to achieve sound isolation for the building surroundings. 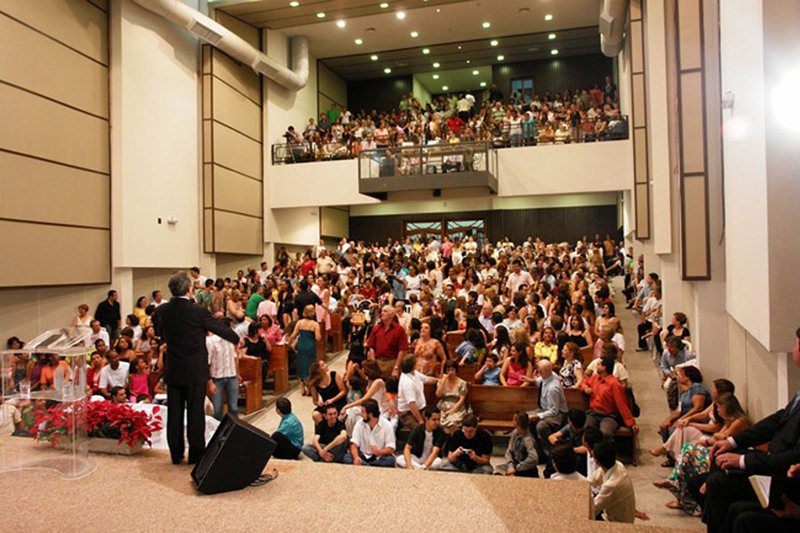 The main room fits comfortably 600 seat people, has a long rectangular shape room with a walkway, behind stage, giving access to the baptismal area. 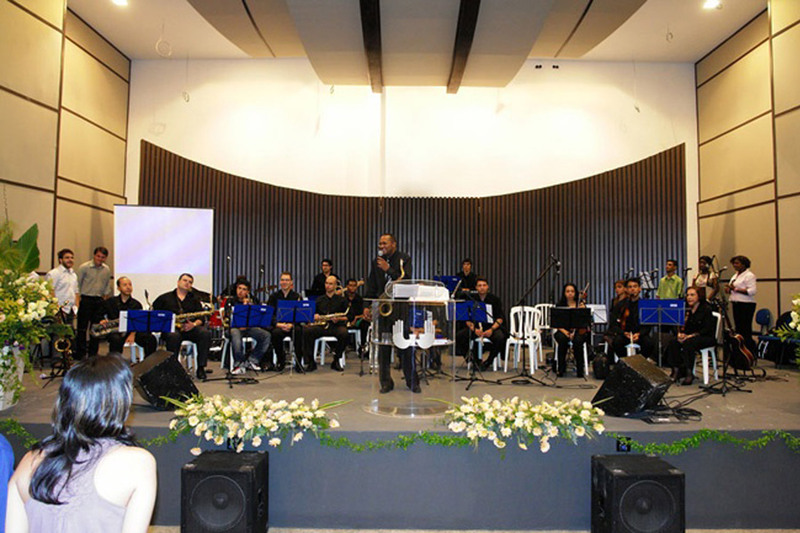 It needed both acoustic and sound-absorbing treatment to be flexible enough to meet all types of events that held in place (worship, congresses, drama and music plays), the space was also designed to allow video and audio recordings. To break the parallelism, hide the apparent pillars and add mass to the existing structure, tiered panels were installed on the sidewalls alternating fabric and gypsum finish. Besides having a great aesthetic appeal, these panels help in absorption and reflection of the sound. Also, for the same acoustic matters the roof lining is in decreasing angle to the stage following the tracks of the side wall panels interspersed with the same finish. 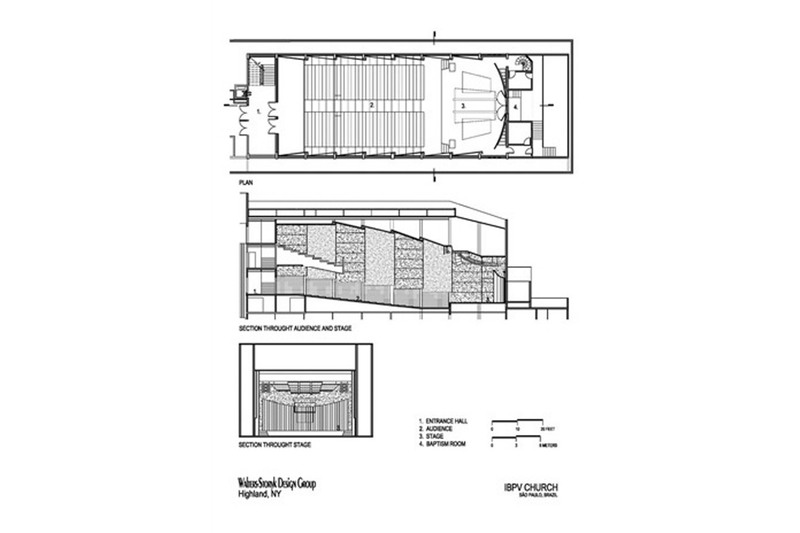 A large concave diffuser panel was custom-made not just to help in the absorption of low frequencies sounds but also to hide the door to the walkway that gives access to the baptismal room. The interesting solution is that door is integral part of the diffuser, invisible for public and acoustically functional. Just above stage was installed a large acoustic cloud, giving the main room the deserved grandeur to the stage. Made of fabric and wood, the cloud had to be set on a tailored metal structure to support its weight and accommodate the required acoustical elements.